You have probably heard people complaining about “The day after leg day” and anyone who has embarked on an exercise program will be aware of the familiar pain associated with it. For the first few sessions, you may find that the muscular pain afterward leaves you unable to move well for several days afterward. However, after you have been training for a couple of weeks, the post-exercise muscle soreness can go away. A common question among new gym goers is that you NEED the soreness, as it is an indicator of a job well done. This is not the case. In the complicated world of exercise science, the soreness you feel after an intense workout is referred to as Delayed Onset Muscle Soreness (DOMS), which is usually caused by Exercise-Induced Muscle Damage (EIMD). Typically, DOMS will start setting in around 6-8 hours after your workout but will peak around the 48-hour mark. Dr. Schoenfeld explains that EIMD is thought to occur mainly because of either an unaccustomed exercise or eccentric muscle actions and it is believed to be caused by a mix of both chemical and mechanical processes that occur within the body at a cellular level. 1. Did you do something new during your training session that your body is not used to, like a new movement pattern? 2. Is there an increased emphasis on the eccentric phase of a muscle action, which causes a forcible lengthening of the muscle while it is trying to shorten, like taking 3-4 seconds to perform the descent portion of a squat or bench press? Remember that emphasizing the eccentric phase of an exercise is not a bad thing; this is where you will get the most growth. However, it is also, where you will receive the most muscle damage, so it can be a bit of a trade-off. In general, post-workout discomfort will diminish once your body gets used to the same movement pattern via the repeated effect. If your goal is about increasing the size of your muscles than research does support EIMD as an important mechanism for muscle growth. However, if your goal is to just be physically fit and look leaner than you can achieve those things without focusing on creating too much muscle damage. A final thought, if you’re in too much pain to complete your normal strength training session but still want to hit the gym, try substituting in an active recovery workout such as a 15-20 minute dynamic mobility circuit or a 20-30 minute session on the stationary bike at a low-moderate intensity or a combination of both. 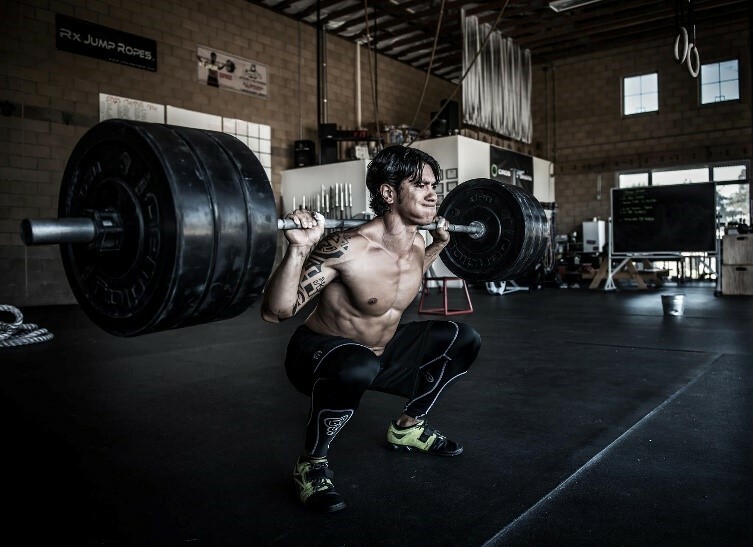 These two types of workouts can help your muscles and connective tissue recover quicker by delivering oxygen and nutrient enriched blood to them, which can help expedite the repair process. Try to increase your protein intake, increase your sleep time, and add in some fish oil supplements, as these three things will help to reduce the effects of DOMS while also improving your post-gym results.